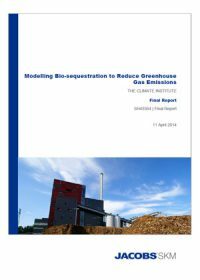 A short factsheet developed by the Global CCS Institute, which explains the concept of combining the use of bio-energy with CCS in order to achieve negative emissions and includes a brief review of such projects around the world. 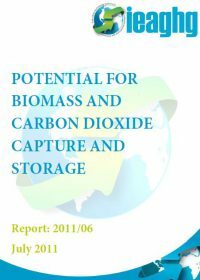 The aim of this study is to fill these knowledge gaps and provide a first order assessment of the potential for BE-CCS technologies to 2050, with an additional focus on the medium term, i.e. 2020 to 2030. 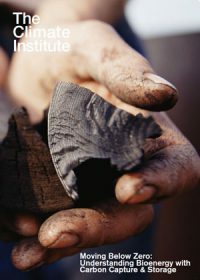 We make a distinction between technical potential (the potential that is technically feasible and not restricted by economical limitations), realisable potential1 (the potential that is technically feasible and takes future energy demand and scenarios for capital stock turnover into account) and economic potential (the potential at competitive cost compared to alternatives). The difference between these potentials can be large and it is therefore imperative to understand these differences and identify the restrictions that constrain the deployment of the full potential. 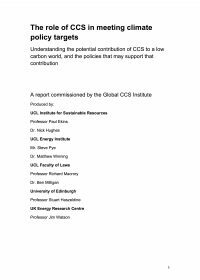 Next to quantitative estimates of these potentials, in the form of regional and global supply curves, we present recommendations to overcome the possible deployment obstacles and enhance drivers to stimulate the deployment of BE-CCS technologies.